Harley Platform 7-Pin Helmet Headsets! 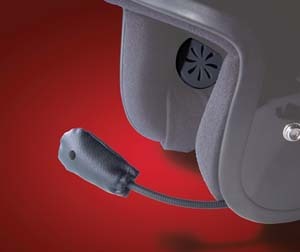 BJ-H279: Performance series helmet headset designed to be installed into most flip-up modular, open-face and full-face style helmets, for connection to the 1998 to current Harley-Davidson Audio system. You will appreciate the ambient noise canceling and wind blocking ability of the latest version of the high-output microphone along with the audio performance offered by the wide-fidelity ultra-slim helmet speakers. Packaged with universal clamp-on type mounting hardware and complete installation instructions. H-D 7-pin lower-section hook-up coily cord. 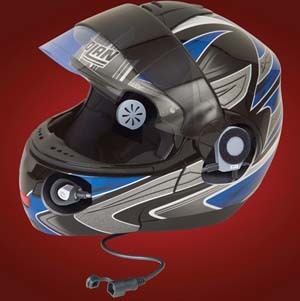 BB-HS20: One of our most popular helmet headset is now available in 7 Pin Din version for the 1998 and newer Harleys. 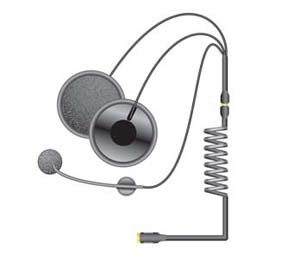 The slim unobtrusive headset microphone is attached to a flexible boom for easy positioning in full face, open face and modular helmets.Comes with a quick disconnect plug allowing for convenient detachment and attachment. Headset includes an 8 foot coiled cord for connection into the bike’s 7 Pin Din connection. The proven high frequency speakers provide clear,crisp sound for music and audio. Fit H-D '98 to current. BB-HS21: This 5 pin din headset works with most modular helmets. 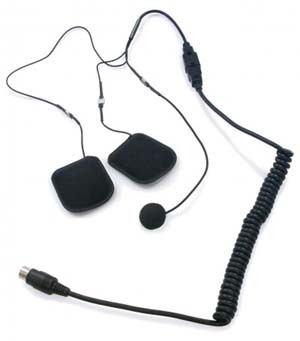 Includes a slim unobtrusive and flexible microphone for easy positioning and a small quick disconnect plug for easy detachment and attachment. High frequency output speakers for a clear, crisp sound. Headset cord is included. For Harley-Davidson '89 - '97, Honda '80 and up, Kawasaki '83 and up, Suzuki, and Yamaha. 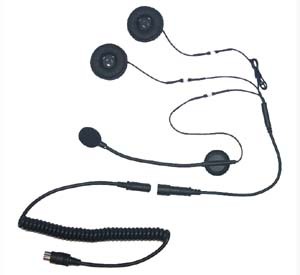 BM-HS10: Features a two piece cord with everything needed to take advantage of the intercom/music system on Harley Davidson Ultra Classic motorcycles at an unbeatable price. Simply install the headset into your helmet, plug the DIN connector cord into your bike and start enjoying your factory system on any adventure you may take. 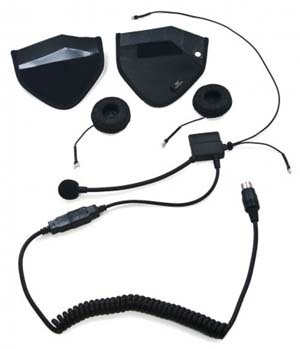 This kit includes a soft microphone designed to be used EXCLUSIVELY with full face helmets. 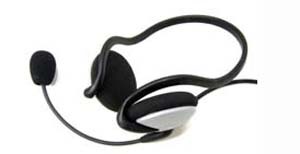 Provides the performance of headsets costing twice as much with half the warranty. This product is also compatible with 7 pin CB radios. The rugged coiled connecting cord is designed for years of reliable functionality. The slim (6mm) speakers offer excellent sound quality and are easy to install. 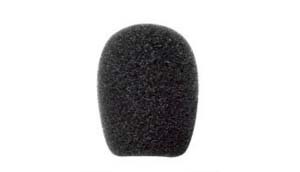 The soft microphone comes with double sided tape to affix the slim microphone inside a full face helmet. This microphone provides excellent noise cancellation and provides clear communication to speeds in excess of 85 miles per hour, making this a must-have for your next trip. Works with the Harley 7 pin system and 7 pin CB radios. 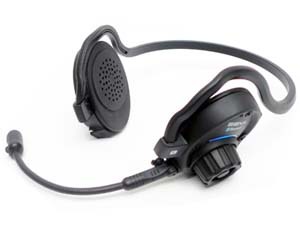 BM-HS30: The BM-HS30 Headset for open face and modular helmets features a two piece cord with everything needed to take advantage of the intercom/music system on a Harley Ultra an unbeatable price. Simply install the headset into your helmet, plug the DIN connector cord into your bike, and start enjoying your factory system on any adventure you may take. This kit includes a boom microphone for ¾ helmets, although it can be used with full face helmets as well. This combo provides the performance of headsets costing twice as much with half the warranty. 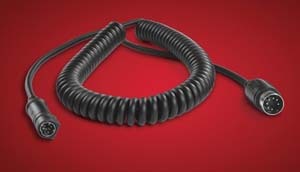 The rugged coiled connecting cord is designed for years of reliable service. The slim (6mm) speakers offer excellent sound quality and are easy to install. The special noise cancelling microphone will make this a must-have for your next trip. Works with any Harley 7 pin sysyem. Fit model years '98 to current. 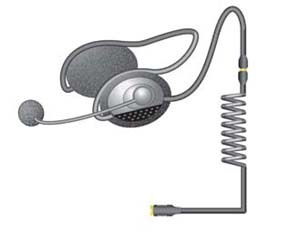 BM-HS40: Th BM-HS40 7 Pin half helmet headset is designed for the factory installed intercom system on Harley Davidson models equipped with a 7 Pin audio/intercom system. The headset allows riders with a half helmet or no helmet to utilize all the audio system functions flawlessly. Now you don't have to let your headset make you use a certain type of helemet. This combo provides better performance than headsets that cost twice as much and have half the warranty. 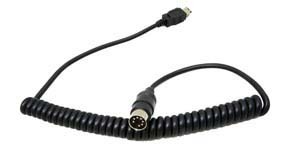 The rugged coiled connecting cord is designed for years of reliable service. The over the ear speakers offer excellent sound quality and do not require a helmet to install.. The special noise cancelling microphone will make this a must-have for your next trip. Fit model year '98 to current. Microphone: Flexible noise cancelling boom microphone. BS-HS170: These ear pocket half helmet headset builds on the success of the BS-HS40 series headset. 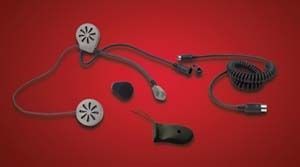 The BS-HS170 series headset for 7 Pin Harley Davidson audio systems will allow use of CB radio, stereo and intercom. This half helmet headset was designed for maximum comfort, style and performance. Be warned the BS-HS170 series half helmet headset is so comfortable you may not want to stop riding! 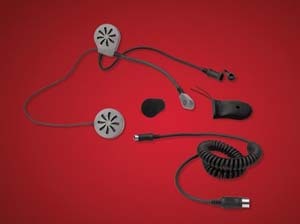 The kit comes complete with a 7 pin lower cord and upper headset. Included with the headset are 2 - 30mm speaker drivers, a sturdy Velcro mounted microphone and genuine leather mounting pouches. The pouches slide easily between the shell and liner of the helmet. Special order item. BM-EXT: Provides approximately 3 additional feet of cable length. BB-REP: 7 Pin Replacement Cord. 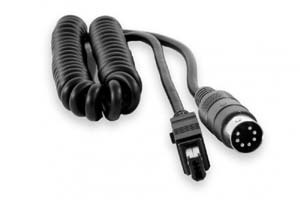 7 PIN MALE WITH 6 PIN, PS-2 Male Connector, For Harley 1998 to current.